Happy New Year from MilitaryByOwner! What does the new year hold for you? Will you make a new resolution or continue on with one already begun? Are you hoping to lose weight, get more fit, save money, or start your own business? Whatever your goals, get motivated with the following posts from MilitaryByOwner's writing team! Whether you're making changes big or small, consider these tips to see you past the first few weeks in which over 25% of people completely abandon their new year's goals. If you're one of the many who'd like to get into better shape this year, get set up for success right in your own home! will motivate you to make quick and easy changes to reflect the new year, new you in your surroundings. Hoping to make some extra cash off your extra space? Start here before beginning the process. Are you a military spouse looking to revitalize or change your career? Take a look at these challenges and alternatives to the "typical" career path (after all, you are anything but typical!). Then read this spouse's story of how she reinvented her own career and connect with this company dedicated to helping your career succeed. If you're looking to sell your home in the coming months, don't miss this free resource put together especially for you. Navigate the FSBO process from start to finish with tips about documents, inspections, common pitfalls, and much more! 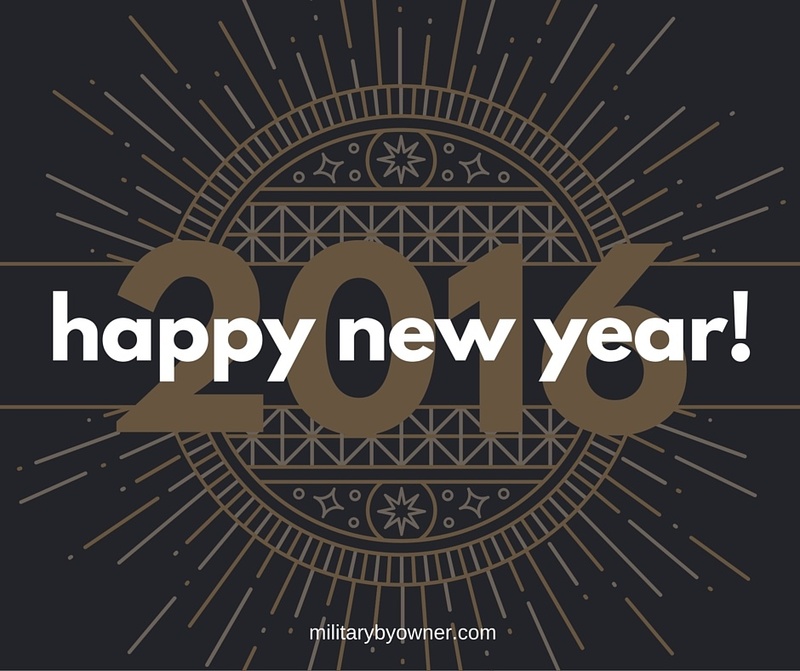 Wherever you're spending the beginning of 2016, MilitaryByOwner wishes you a happy and successful new year!